A strong ideology and a strong team are keys to our successes. For reforms to work for the benefit of people, reform plans should reflect the people’s interests! Reform plans must be developed from the bottom upwards and not on the contrary! In 1943, during construction of the Nuclear Energy Institute (later on this institute was named after Kurchatov), well known Russian scientist in physics-mathematics Igor Kurchatov ordered the construction managers to postpone asphalt laying on the paths in the Institute yard. Using most convenient and sort ways, the Institute staff made new paths in the yard. In a year’s time, I. Kurchatov ordered laying asphalt along these very paths in the yard. Uzbekistan had been under Soviet ruling for 70 years and under dictator Islam Karimov’s system for 27 years. For that time, the notion of private property almost lost its meaning in Uzbekistan. Together with the lands that belonged to people, all production facilities, also the ones in the service sector were nationalized and declared property of the state. Unfortunately, though esteemed President Shavkat Miromonovich Mirziyoyev initiated many reforms, these reforms are merely marking time. The failure of the reformed initiated by President Mirziyoyev is primarily explained by the fact that the reform plans are not oriented for the benefit of people, and that these plans are not intended to address the people’s needs and were developed by fantasies of a bunch of corrupted authorities, who are far from the people’s interests and fly in the air. Several presidential resolutions were adopted during the leadership of the new leader. However, for these resolutions did not take into account the interests of people and the local authorities being absolutely unaware of free market economy prevented from practical implementation of these decisions. Therefore, we, the People’s Democratic Movement “Birdamlik” have always been arguing for the primary necessity of political reforms. So far, as the founder and leader of the oppositional People’s Democratic Movement “Birdamlik,” I have been savagely criticizing the activities of President and his team. For my criticism, in their turn the government and other persons and groups made me a target of their criticism. In reality, criticism is a specific manifestation of democratic values. While we criticized the activities of the government, we have never fallen down to personalities of people, never went into slander or aspersion. We criticized the activities and the shortfalls in the activities of the leader and authorities without going beyond the political etiquette. Now, we decided not to limit ourselves in mere critique but demonstrate ourselves in practical work. We, the People’s Democratic Movement “Birdamlik” have been emphasized the primary need for political reforms for real comprehensive development of our motherland Uzbekistan. We repeatedly reiterated the thesis that only political reform will serve as a kind of key to the successful implementation of other reforms. Personally, I still adhere to this opinion. A number of changes will be possible in Uzbekistan only if political reforms are implemented in participation of the opposition parties. Such changes would cover all sectors of life from fight for political power to reforms in other fields of economy. They create an environment of free political competition to successful and full completion of reforms. Only in this case, there will be competition and mutual control between the government and opposition, for turning to the people and addressing their needs, severe fighting shortfalls and corruption. Corruption will be reduced and primacy of law will increase. The authorities around you will stop fearing you, trying to adapt themselves to your policy, telling you lies, but change to take into account the side of the political rivals – opposition, and will have to hear the real needs of people and run their activities diligently. What do we see in your current management methods? It is true that reforms have been initiated, but as we said above, they are just marking time. Every step you make, you see window-dressing, lies, and stultification of people. 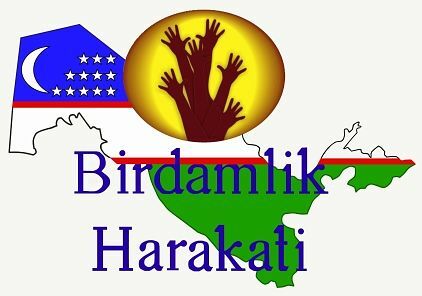 We, the People’s Democratic Movement “Birdamlik” intend to prove in practice the possibility of achieving positive results within 4-5 years from political reforms, the necessity of which we have been insisting for Uzbekistan, in a scale of one district. We are in firm mind that the political reforms, successfully implemented in a district can then be implemented in the region, where such district will be located. Based on the successful reforms to be implemented in a district and later in an oblast we will have an opportunity to implement such reforms to the national scale together with you. If we are given sufficient opportunities to run relevant full extent political activities, we are prepared to run comprehensive reforms in the poorest district of the poorest region of our country. I firmly believe that within 4-5 years, we can turn such an economically weak district under our authority into the economically strongest district in our country to be developed through successful reforms, which radical and positive development to be achieved taking a few dozen steps and which district would then even be able to seriously compete with some regions. The Cabinet of Ministers issues a resolution for elections for district people’s council and governor of the district. Such resolution to envisage registration of opposition political parties for participation at the district people’s council and governor’s position elections to be held freely. After adoption of such a resolution, a 3 months period should be given for political parties to arrange their electoral headquarters. In 3 months’ time, the elections for the district council and governor’s office should be started. The parties, winning majority votes to take seats in the district people’s council proportionally to the votes won. While for the governor’s office, candidate names to be shown on separate bulletins for one or two round elections. If, the newly registered People’s Democratic Party “Birdamlik” cannot win the governor’s elections, then the party will absolutely give up using its reforms program. The district electoral headquarters will wish success to the winning candidates, accept the defeat at the elections, and stop its activities. However, if we win the elections and have majority seats at the district people’s council, we will proceed with implementation of the comprehensive reforms program in the district. And, we will announce completion of political reforms in a district scale, which are required for our country. The following ideas and plans will be on behalf of the winners of the elections in the district – the party, who would have taken the governor’s office and majority seats at the district people’s council. Thus, we have gained district administration through national elections. This step mainly means peaceful cessation of the office by the old governor and hand it over to the new governor. While the new governor takes office together with his/her team and the new people’s representatives take their seats in the district people’s council. We will not interfere with the activities of the Military service and State security services. In their turn, they will not interfere with our activities. Any interference will have to be in liaison with the President of the country and us – district governor’s office. In emergencies, for instance, if there is any war or disorders in the country, we will join the nation and execute the commands of the Military service and State security service in full obedience. In emergency situations, the Military services and State security services can use their full authority in the territory of our district and carry out their activities without any limitations. We will completely reform the district department of internal affairs. In emergencies, the department of internal affairs of the district under our authority will directly report to the Ministry of Internal Affairs of the country. However, in peacetime, it will run its activities within the reforms underway in the district and carry out a number of reforms. In addition, the district department of internal affairs will be renamed into the “Police” department. We will issue uniforms to all staff of the new reformed Police department and in peacetime, the new police services will report to the district administration. The district prosecutor’s office staff will give detailed report on their activities at the sessions of the district council. The same will apply to the district Revenue service, to be established district Customs service, district department of Education, district Medical and Sanitary services, and other government services. At the district people’s council sessions, they will give detailed accounts on what activities would have completed and what they would be planning to do. While starting its economic reforms, the district will have independence in establishing the new rates for taxation and customs, and other fees. The Cabinet of Ministers of the Republic of Uzbekistan will give permission to the district to have 5 years independence in establishing the rates for taxation and customs and other fees and payments. The income from taxes will remain in the disposal of the district for the 5 years. In five years’ time, the state will restore the taxation income from our district similarly to all other districts or if the majority approves the reformed taxation and customs rates and fees, the taxation and customs systems implemented in our district can be applied to the entire country. Uninterrupted power and gas supplies will be arranged for the district. As the reforms progress, the demand for power and gas consumption will grow. Based on the growth of demand for power and gas supplies, the Cabinet of Ministers will ask for expansion of limits for the district. The district administration will ask the Cabinet of Ministers for a 3 years freeze of district population debts for used power and gas. For 3 years, the power and gas supply entities will be radically reformed, the guilty persons will be identified, and the thieves and corrupt officials will be punished accordingly. During detailed study of population debt for used power and gas, the real debtors for electricity and gas will be identified and this debt will be fully extracted for payment to the relevant entities. Later on, the payments system for electricity and gas will be streamlined and a mechanism of full, regular monthly payments for the power and gas will be established. We will undertake land reforms in the district. All the land in the district will be given to its people. Before proceeding with this reform, the state will take the land areas in required lots from the district lands for its needs, for instance, for military units, roads, water canals, gas pipelines, military plants, factories, national scale facilities. In its turn, the district administration will own land areas for the purposes of improving the life style and welfare of the district population for building schools, kindergartens, parks, recreation zones, libraries, hospitals, water canals, drinking water lines, gas pipelines and power lines, building new roads and satisfying other necessities of life or assign additional land areas for expansion of existing erections; allotted land areas shall be approved by the district people’s council. The remaining land areas will be distributed among the district population using of the privatization method. The owners of the district lands are the population of the district. The population of the district will be totally exempt of any state orders for growing cotton, grains, silk worm cocoon or any type state orders. At their will, the land owners may establish farmer’s entities, run family businesses, carry our various entrepreneurship activities or sell their lands to another person, leave it to anybody at their will, let or establish joint ventures with foreign companies. The state or district administration will not interfere with the affairs of the land owners. The land owners shall have the right to sell the agricultural products at any market within our country or if they wish, sell them abroad. No state may interfere with their trade activities. At their wish, the land owners may at pre-agreed prices grow cotton, grains, carry out any agricultural activities, or leave their lands unused for several years. The landowners fill annual land tax and yearly income declarations and pay annual income tax. It is very important for the district to have its own airport. Irrespective of the distance to the region center, the district will start a project of construction of an international airport in its territory. The project of this passenger and cargo airport will be implemented from foreign loans. This project will be implemented at advice and practical assistance of President Shavkat Mirziyoyev. All district roads will be reconstructed or repaired. Within its possibilities, using internal resources, the district will try to improve the quality of roads; should it have no internal resources for this, foreign loans will be considered. Uninterrupted power supply will be arranged. Using local resources, all power lines, distribution station will be replaced; should this be impossible, foreign loans will be sought for this project. Installation of solar power station will be organized to address additional need for power. The National Power authority should not resist operation of the solar power station operations in the district or better – not interfere at all. Uninterrupted gas supply will be arranged according to the requirements and demand. All gas pipelines and gas distribution stations will be audited and the areas needing repairs will be repaired. New gas pipelines will be installed to those parts of the residential areas in the district with no gas pipeline connection to have 100% gas supplies to the population. Serious attention will be given to water waste and sewage issues. New waste water treatment facilities will be built for treating waste and sewage effluents. The project of this facility will be fully funded by foreign loans. The condition of waste water disposal ditches and saline water will be checked subject to recycled use. A new wastewater disposal ditches will be built, old ditches will be restored, and new drainage piping will be installed in the district. Serious studies will be carried out for drinking water supply issues and a potable water supply project will be funded from foreign loans to cover 100% population of the district. In addition, projects of cleaning of ditches, canals, sufficient irrigation water supply to the landowners are also envisaged. For international travel of the population of the district, the time for issuance of the “ОВИР” (Department of visas and registration) department sticker that has a note: “For travelling to all countries of the world” will be limited to maximum 3 days. In reality, we are for abrogation of this “ОВИР” sticker practice. Hassle free visa issuance must be ensured for those guests, travelers, tourists, entrepreneurs and investors, planning to visit our district irrespective of their country of origin. The duration of stay of visiting guests must be 90 days and they should have opportunities to book and stay at hotels and, if they wish, they should have the right for visiting and sightseeing in any region, district, towns and cities of Uzbekistan. No investor intending to invest capital in the district should be checked if they are not in search in Interpol system. In other cases, investors can bring and use their investments in our district. A mechanism of granting Uzbek citizenship in 5 years’ time should be put in place for such an investor. The district administration will set simplified and low tax rates for investors. Investors should be able to bring or completely withdraw investments in cash or bank wire forms at any time they wish. Railway network, cargo loading and unloading logistics stations should operate in the district. If no railway line passes through the district territory, a railway line, a cargo reception and shipment bases will be built using foreign loans. With the help of entrepreneurs, the district will import oil products from neighboring countries applying its own customs fees, and will create opportunities and conditions for businessmen to sell such to the population of the district at free market prices. Oil products will be brought through businesses according to contracts at prices agreed with national oil product depots to be sold at free market prices. Fuel prices may differ from those in other parts of the country. Prices in this district will be determined on the basis of free market economy. Income from mining of minerals will remain at disposal of the district for the 5 years. In 5 years’ time, the Oliy Majlis (Parliament) of the Republic of Uzbekistan will review and take a decision on the subject of payment of the income tax. The district administration or the businessmen working in the district deliver cement, coal, construction materials, various types of raw materials to the district on timely basis, without damage, free of defects on materials, raw material and product supply contracts with the companies, who produce such goods in the country. Upon breach of contract terms and conditions, the party in fault will be fined; it is envisaged that the district administration and the businessmen, working in the district will import raw materials, materials and goods stipulated in such contracts from neighboring countries at acceptable and cheap prices. The district administration and the businessmen, working in the district will independently carry out import and export contract activities. All prohibitions and limitations that exist in the country, will be abrogated. No interference of the central government in the economy of the district will be allowed. The district will try to fully privatize all medical institutions in its territory. The district will adopt a medical insurance system. All staff of companies, organizations, government offices, education system and other sectors will have medical insurance coverage. The government will arrange payment for insurance of the social layers needing social protection like disabled persons, pensioners, schoolchildren. The district administration will review the taxes paid to state budget by workers, service employees, peasants, farmers, and other paid employees. Their tax rates will be reduced, if possible. The district will partially fund the kindergartens and schools and try to provide new schools, buildings, school supplies, school uniform, three times meals, and required school books. The district administration will have its official publication, district television and radio; independent media and Internet site activities will be set up as well. Special attention will be given to freedom of speech and press in all types of media. The Internet quality and speed should be as good and fast as in developed countries like the USA, Canada, European countries, South Korea, Japan, etc., while internet connection should not be more expensive than in these countries. No Internet site may be blocked. The population of the district should be able to visit any site they wish and nobody may chase or pursuit them for visiting such sites. It should be possible to carry out retail and whole sales for US dollars alongside with Uzbek soums. All international contracts will be signed in US dollars. The banks, bringing investments from abroad should be able to obtain the Central Bank license without any difficulties or obstacles. It will not be possible to implement the new project on political reforms, developed on the basis of democratic principles without participation of its author. For developing the national economy, the Government of Uzbekistan is spending not millions, but billions of state budget funds to attract foreign investments. However, the results are not what had been expected. While, we will not take any additional money from the state budget and even though we will get foreign loans, we will not steal the funds but use them correctly and on target to then return them on a timely basis. The most important thing is that the district under our management will build a new international airport, railway stations, transport logistics centers, new roads that will be part of new infrastructure for the district; the population will have quality uninterrupted potable water, gas and electricity supplies; they will have privatized medical institutions, modern kindergartens and schools; the district residents will have their own privatized lands. We will create well-paid jobs in the district for all residents of the district who are now working abroad. Serious investors will come to the district. Another aspect of this is that our activities will be a good school for learning for region and district governors appointed by our esteemed President Shavkat Mirziyoyev. They would closely review our activities, use our experience of working with investors, and will be able to attract their investments. For the life style and welfare of the population of the district under our management will have been improved by then! We have mentioned earlier that the reforms started with political reorganizations will be successful. Let us arrange a contest. Please, select any economically weak district you like. Without proceeding with any political reforms, appoint the person, who you know well and trust as governor. At your wish, you could change the members of the district people’s council members to your convenience. Please, arrange all conditions that we ask for performing our reforms. The subsidies from the state budget should also be the same. Let the other types of assistance, help, and support be the same to both districts. Let them start at the same time as we do and work for 5 years. Let us compare the results every year and in 5 years. If the government does not put any obstacles in our activities and treat both districts equally, and arrange equal conditions for both, and if we lose, we will give up all our demands about the necessity in political reforms in country for good. The main objective of preparing this proposal, is openly declaring the importance of ensuring participation of our oppositional People’s Democratic Movement “Birdamlik” in development of our country. For we will serve create a free political competition environment with existing government. While reforms are underway in Uzbekistan, all reforms in all sectors will be performed in the environment of free political competition. Our position in politics of the state will serve for the benefit of the people of Uzbekistan.